Keep in mind all wording can be tailored to reflect a religious, non-religious ceremony or mix/matched to fit your wishes. Few things in this world are as important as raising children. In every age, every era, every time and place, children are our treasures, our future, our immortality—the vital link in the chain of humanity. It has been written : "A child is Gods opinion that the world should go on"
Is there anything in life that gives us more hope than the birth of a child? Is there anything that motivates a parent more to live-to push on than his or her child? ____ was born to ___ and ___ on (Date of Birth) and we rejoice! It is for these reasons that we feel the need to formally cerebrate this new life in our midst with a ceremony. Today we will welcome his arrival into our community with heads bowed in gratitude. Your presence at this celebration today is greatly appreciated, as your continued support in _____ life will be welcomed and appreciated. All of you are among the most amazing treasures that life has given them, all of you are those that they can call family and friends. There is one thing that we are certain of: the more love this child receives; the more he will be able to give love to other. The more people that make up his world, the richer his world will be. Each of you have unique gifts and offerings we hope that you will share with this child. It is said that it takes a village to raise a child. Look around you. You are looking at (child’s name) village. This event is shared, if in a different way, by those who have passed beyond this life. Their roles in the lives of ___ and _____ are gratefully remembered. They acknowledge and honor the bloodlines, the history and the people who have all gone into the creation of _____. They remember what it felt to be with these loved ones, and that through shared memories _____ may come to know her ancestors and the lineage that is her birthright. Heavenly Father we ask for your blessing here today as we celebrate the new life this family has been blessed with.Protect our family and community and surround us with your infinite unconditional love. Keep us mindful that the miracle of new life is both a gift and path back to you.We ask that our sense of community be strengthened by what we are about to witness here today. Amen. The best one of these is the one that she earns for herself. Names have always been a powerful part of our identity. They can represent the family to which we belong, or the part of the world from which we come and even some part of our personality. Names are important; it is by our name that each of us is acknowledged as an individual and called to live our own unique lives. Let it become a name honored and respected for wisdom and good deeds. _________, we commit ourselves to the unfolding of your promise, may you walk the path of goodness, beauty, and truth. Do justly and love mercy, and be humble before the mystery of life and the grandeur of the universe into which you have been born. May God's blessing rest on you now and always. _____ and ___ Parenthood will bring you the greatest joys and the greatest worries. It is at once the most rewarding yet challenging of all jobs. The role of parent adds profound meaning and purpose to our existence. As (child's name) parents' you will be their most important role models. It is your responsibility to care for, nurture and provide for her and to create a foundation of support, love and respect so that she can stand on her own two feet when the time comes. So it is only right that this ceremony includes your promises to your daughter as she grows. **You may choose all of these promises to be included in your ceremony of just your favorites. Feel free to mix and match/combine as well. 2). Do you promise to see her and honor her as a unique individual and to give her the freedom to live the life that is calling her. 3). To teach _____ right from wrong, to enable her to make her place in society as a kind and caring person? 5). To teach _____ to celebrate diversity, never ever being aware of prejudice. Knowing no boundaries, to be loving of all that surrounds her in her life, and celebrate the similarities and differences in our world? 6). To teach her to show mercy to all living things and the value of giving? 7). To take from this earth only what she really need so that there is enough for others? There is no other bond quite like that of a grandparent and their grandchild. Grandparents are a family’s greatest treasure, the founders of a loving legacy the greatest storytellers, and the keepers of traditions that linger on in cherished memory. Grandparents are the family’s strong foundation. They have a special love that sets them apart from anyone else. They are always there to love you unconditionally, to listen when you feel like you’re not being heard, and to give advice that is always wise and pure of heart. ____ is honored to have (say grandparents names) here today. Officiant to the grandparents: There is a blessing that says “May you live to see your children’s children” I can only imagine how blessed it must be to see your children’s children. On this special day we see a lineage of love passed from generation to generation. In Plato’s words: “Love is immortal”. Grandparents, on your grandson’s blessing day, we honor you. We thank you. Children need many resources of support and for this reason we have the tradition of appointing Godparents. Godparents are someone who promises to teach and guide the child spiritually. Someone who through both word and example will help this child know that he is a beloved child of god. To be a Godparent is a great honor and responsibility. (Parent’s names) have chosen you with great consideration and care. They trust you and hold you in the highest regard.. I now ask you, as Godparents to this child will you, to the best of your ability offer, love, guidance, counsel and encouragement to _____? Be her/his advocate and confidant for life and be someone she/he can turn to as a friend, who will love her/him unconditionally. Will you keep this child in your care and prayers always? At the very dawn of creation, God used his spirit to breathe life into the waters, making them the wellspring of life. Water is a symbol of purity, clarity, reflection, wisdom and transition. It refreshes us, cleanses us and rejuvenates us. (This line is optional) Jesus walked into the waters of the river Jordan and emerged anointed with spirit. May Gods illumination reside with you, now and forever. God’s peace be upon you. 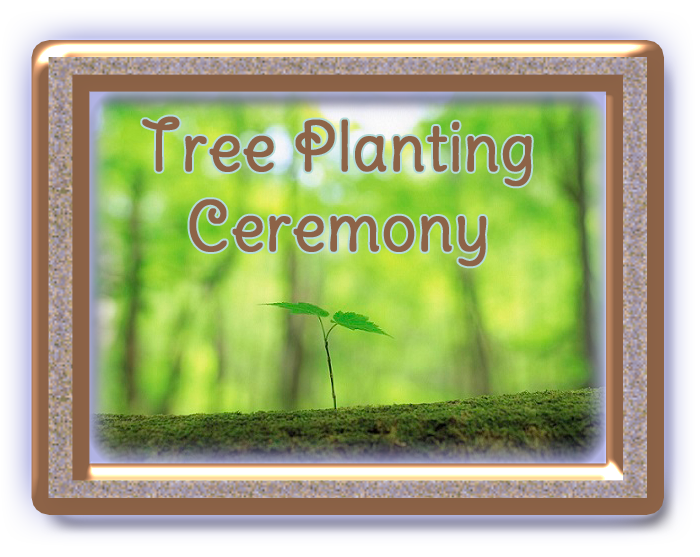 To celebrate (Child's name) birth, _____ and ____ will plant a live oak sapling tree in their backyard. Trees represent life itself and are the link between Mother Nature and heaven. Their wood is used for building, their fruit for food. They symbolize growth and sustainability. This tree that we will plant today symbolizes the growth of a new branch in this family tree. This tree will grow along with____ marking milestones in his life. A child is like a tree that is grown from a seed. Both require constant nurturing in order to grow strong and healthy. The more "rooted" a child is in his source of nourishment, the stronger he will grow and the happier he will be. Most important of all is to remember that being a parent- like being a gardener is a full time job. 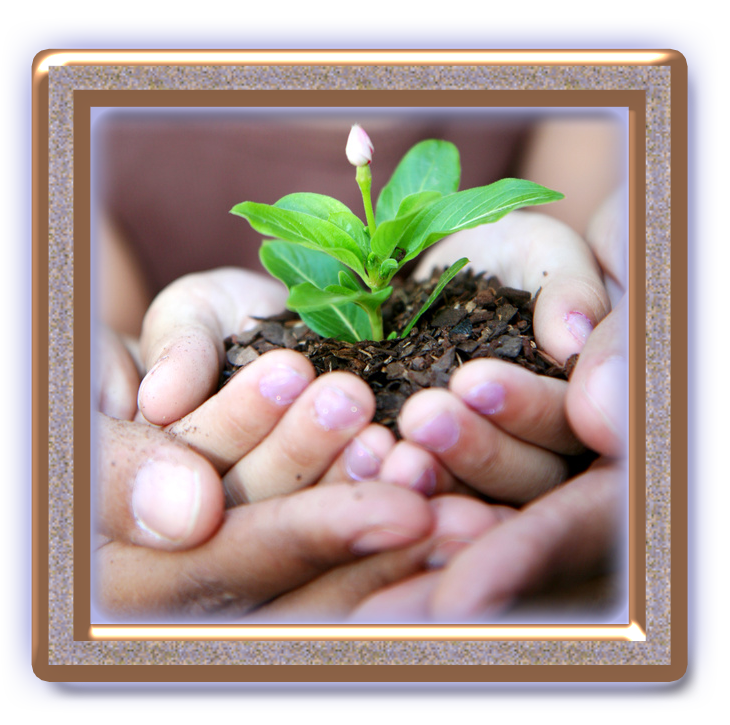 It is your job to tend to this precious seedling that has been placed in your care. as we witness the miracle of your creation – this young tree. Unique and original, just like (Child's name). And unlike anything that ever was before or will be. Concealing a complex potential that miraculously unfolds with each passing day. drawing nourishment from the fertile earth. and to be able to support its canopy of branches and leaves. fulfilling to the greatest extent possible the potential for which God placed them on earth. (Parents names), I say on behalf of all of us, go in peace and build a strong and beautiful family life. Your wishes are rooted in truth, for we have prayed with you and joined our hearts with yours. Your prayers are our prayers, that you might have a home that is full of love and righteousness for you and your child. May she grow up to reflect the best in both of you, and extend unto the world she touches, the love she receives from his mother and father. Do not fear for God will guide you always. Do not despair, for she is ever there. The spirit of God is with you always, to guide you both and bless your child. (Childs name) Stand tall and proud. And so with abiding confidence and affection, we send you forth on your journey of life. May you be filled with thanks and wonder, humor and fun, hope and perseverance so that you may grow in wisdom and grace. (To guests) Thank you all for being with us today to bless and welcome ____. Let the memory of this day fill us with love and family. Go in peace.